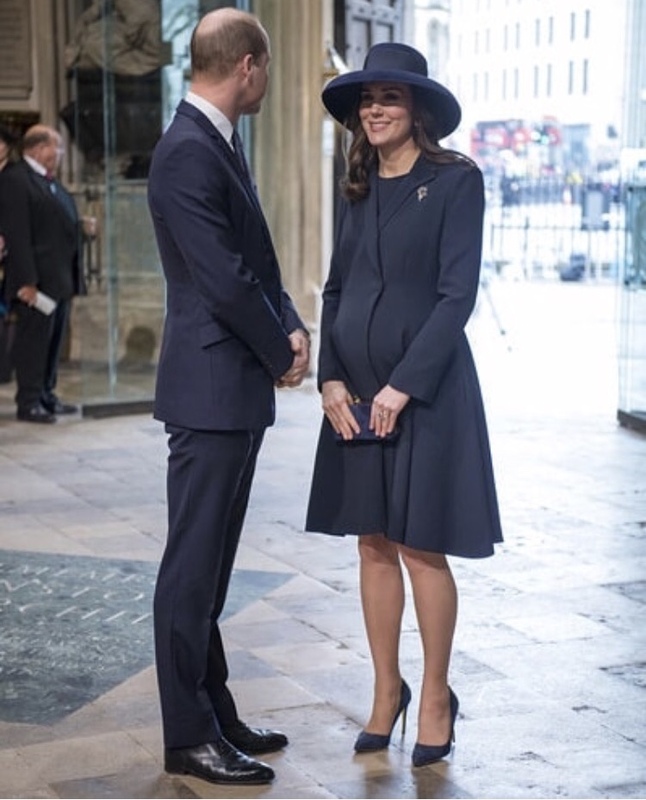 Third-time mom-to-be Duchess Catherine of Cambridge and her husband Prince William were joined by Meghan Markle and Prince Harry and the other royals at the annual Commonwealth Service at Westminster Abbey this week. The former Kate Middleton recycled a coat she has worn before, a navy wool Beulah Chiara London coat with a matching Jimmy Choo clutch and Malory’ pumps by Rupert Sanderson. 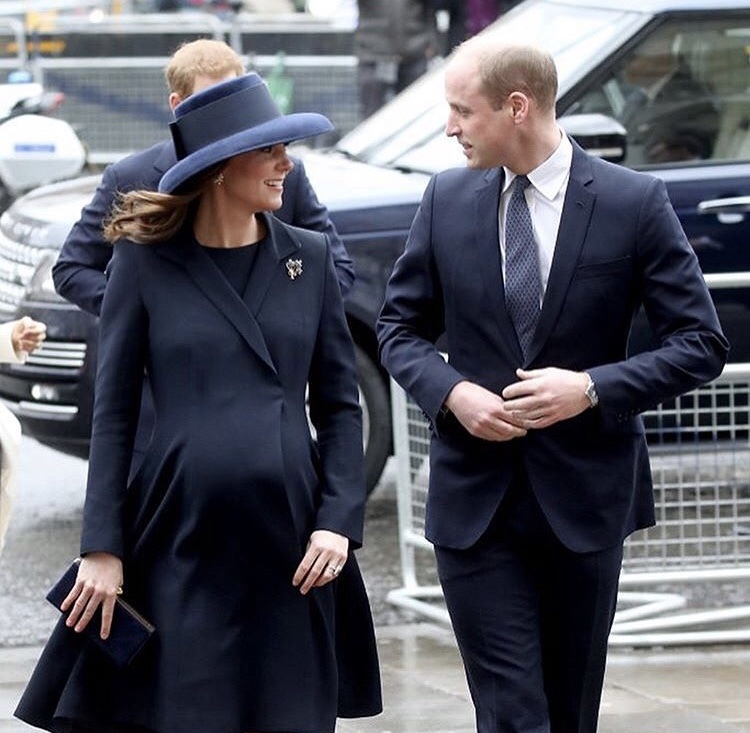 In her third trimester, Kate’s bump was visible through her coat as she and the royal pair greeted children at the event. 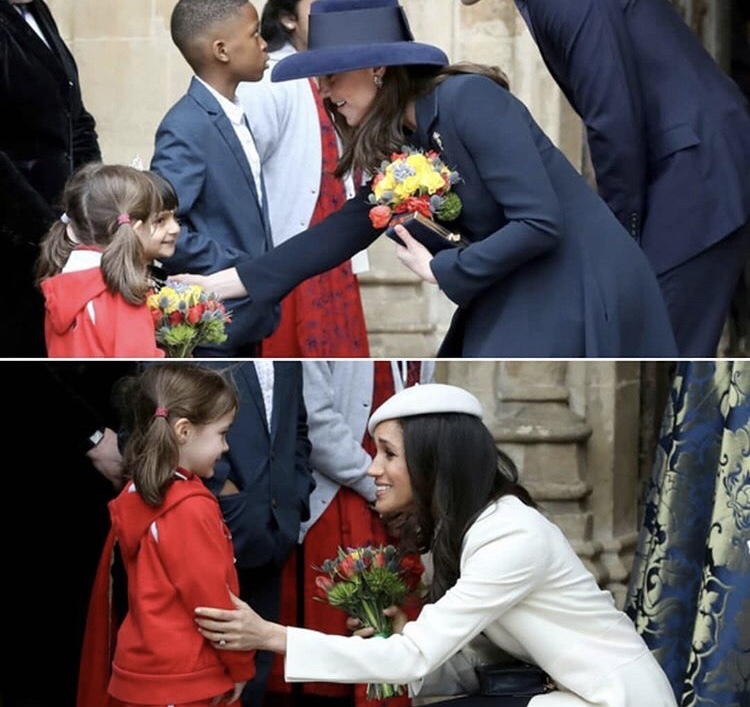 Interestingly enough, whoever styles Kate must also style Former actress Markle because she too was outfitted in an A-line coat with clean lines and in a primary color, well off white but you know, classic solids. Both women wore wool hats that matched their coats. 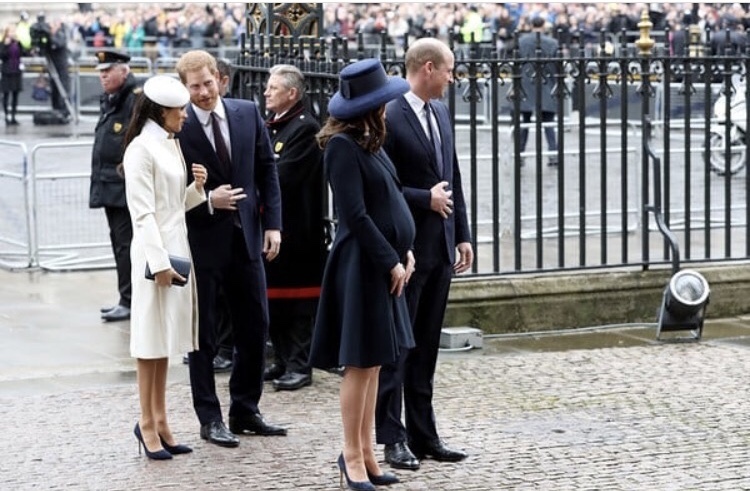 All of the other royals wore variations of navy and white so I think it was planned. It is a classic and conservative aesthetic that is unique to Kate’s style. If you look at how Kate dressed compared to as a married duchess, you can see the evolution and change. I like their look but if it is too similar, it will give off a Stepford Wives vibe to me.